Newsmakers news and PR distribution platform carefully combines the power of traditional media with online PR to create a unique publishing platform that helps you communicate your story effectively at low cost. Our careful use of social media and search engine optimisation techniques ensures your press release travels far and wide nationally and internationally. Newsmakers is the most cost-effective online PR solution for businesses small and large. Newsmakers is the trading style of Velnet UK Ltd. Our registered office address is in the heart of the west end of London, 223 Regent Street. London, W1B 2QD. The idea behind Newsmakers is to make online press release and news distribution services easy and affordable for businesses of all sizes. In 2017, we enhanced our PR distribution platform, to take advantage of the increased importance of social media and other online platforms in news and PR dissemination. Our recent incorporation of search engine optimisation (SEO) technique, as a core part of our online press release distribution, has helped our clients to get the maximum benefits possible from distributing their press release on Newsmakers platform. 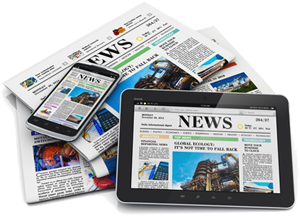 We continue to work hard to enhance and develop our platform, to ensure we remain one of the best value for money news and press release distribution platforms in the UK.